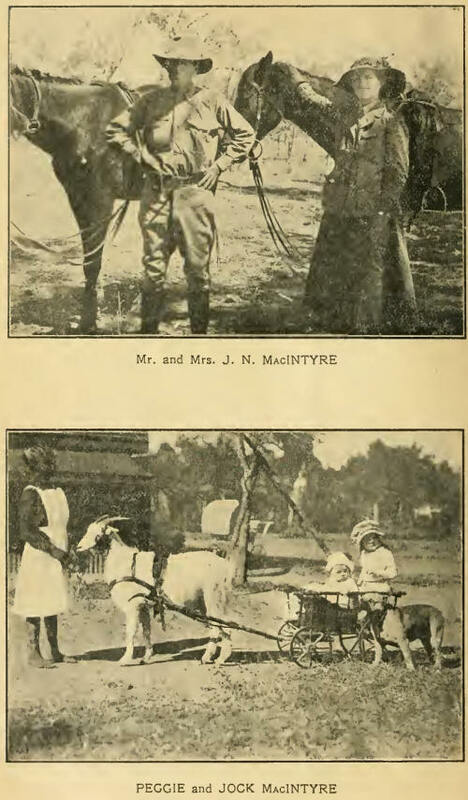 Mr. Macintyre is to be commended on calling attention to the need for populating our Northern areas. The empty North menaces Australia. Its continued existence as a nation depends oil first line of defence being manned. It is not our back door we are leaving unguarded. It is not our back yard that is empty. The historical processes, the evolution of Internationalism, has made Northern Australia our front garden. That we have allowed it to be neglected, that we have built behind a wilderness, and then slothfully neglected to improve and beautify and protect the area from which our well-being may be assaulted, our independence be threatened, is unthinkably stupid—and criminal. If Australia is to be held—it will be held in the North. If Australia is to be free from the aggression of marauders, it will only be because we have taken time by the forelock, and made it impregnable. It can only be made impregnable by settling the empty, inviting, healthy—but now neglected—North, with men who will make it their homeland, their holy of holios, their own. Empty North Australia menaces all Australia. The problem is Australia's. The menace must be removed by Australian action. Whatever differences, mental or moral, may exist in the minds of man, the truth of the old adage remains unfractured, "God helps those who help themselves." To-day Australia can help herself effectively. 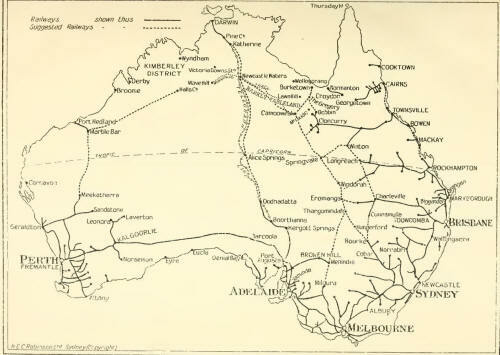 If she continues in the "to-morrow" habit, a not distant "to-morrow" may dawn with an alien flag afloat over Northern Australia, and then the only continent, with "one people, one flag, one destiny," will have become a land of warring interests, a land of clashing strife, a land on which thesun of peace has set, a land facing the blood- real dawning of discord, schism and dissension. Mr. Maclntyre preaches a sane doctrine of Australianism for Australians. He shows where we have failed to make Australianism efficient. I-Ic points out our duty, not as the man of letters in polished periods, but as the man of action, the man who has lived in the empty North and has seen all that its "vacuity" portends, who has read the portents and speaks as an Australian from the depths of his first-hand knowledge, the man who knows that until we set out to do our duty to Australia by making Australia safe for Australians, by utilising to their uttermost our Australian assets and potentialities, by making full use of our glorious heritage, the motto upon our coat of arms is a braggart's boast, or worse still, a weakling's aspiration. In his own way, the author has shown how to make good, the words that inspired the earliest Australians—Advance Australia. Clivederi 'Mansions, Gregory Terrace, Brisbane, 31st Jan., 1920. In dedicating this book to their Excellencies, I am actuated by three distinct motives. Firstly—It was on the occasion of the reception at Burketovn of their Excellencies that I first had the pleasure of helping to entertain a Representative of His Majesty, the King and of making my first speech in public. 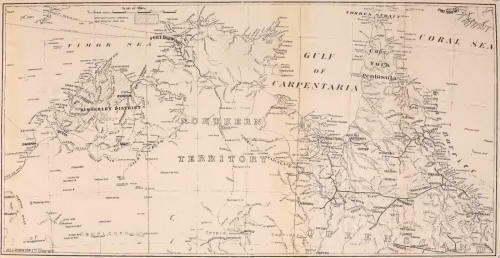 Secondly---Lady Goold Adams was the first wife of a Governor to pay Burketown a visit for many, many years; and on being presented with a separate address by the good ladies of 13urketovn, we were pleased to learn that it was the first separate address she had received from the ladies of Queensland. Thirdly—His Excellency was so interested and impressed with what he saw and learnt on his visit through the country. that I feel sure we can thank him for the interest that has since been taken by the Government in our District, which at last looks as if the claims of the Gulf for prosperity will get a chance of proper recognition. In June, 1917, there came to little, forgotten, decaying, ill-used, un- known Burketown, an outpost of the Empire in the Gulf of North Queens- land, known as the town of goats, claypans, and glass bottles, their most Honourable Excellencies, Sir Hamilton John Goold Adams and Lady Goold Adams, determined to do his duty honourably and nobly to the glorious Empire that placed under his jurisdiction the State of Queensland. The Governor left no place unvisited that his valuable time permitted him to visit, and see for himself and to bring into closer contact even these despised outposts of the Empire, the courtesy and spirit of affection and nobleness that is the birthright of most of the nobility of John Bull, and which his determined, (logged, democratic, and peace-loving rulers have the tact of choosing out of his millions to act as envoys for this purpose of Empire- building. We can all from our infancy look back with affection, reverence, and honour to our first knowledge of our State Governors. 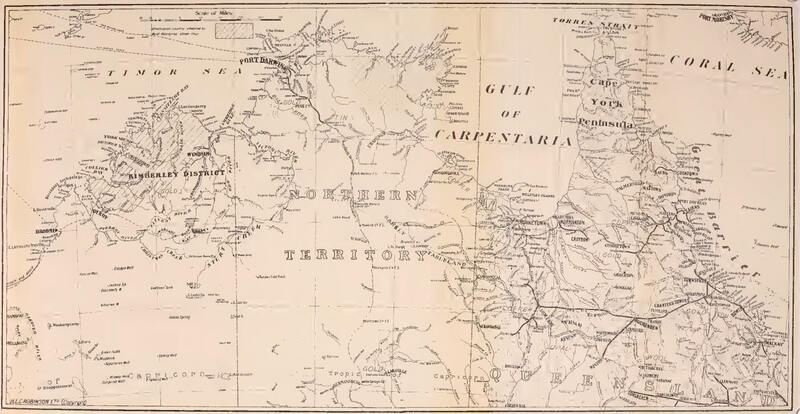 Mine dates from that glorious old gentleman, Sir Henry Wylie Norman, and with a particular reference to Lord Chelmsford, who also visited Burketown, the list is complete up to his present Excellency. New South Wales can also echo, I feel sure, the same sentiment, and also the other States. In referring to his Excellency Sir Walter Davidson, also, I can only quote from the press of the day. Great as this admiration is for our State Governors, there are those who exclaim that our Commonwealth Peer, Sir Ronald Munro Ferguson, is the "daddy" of the lot, and no one who feels and sees the sentiment towards his Excellency but can concur with those people (even although they have never come in contact with or set eyes on him).